Free Eye Tests - In Scotland eye examinations are free under the NHS and some people may also qualify for help with the cost of their glasses. Just contact us for more details. We are committed to offering you the highest standards of professional service. Remember, your eyesight is priceless and you deserve the best possible care. 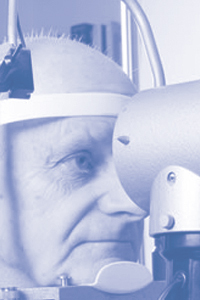 A few words about the importance of regular back-of-the-eye examinations for the sake of early detection of eye diseases. Did you know that 80% of world blindness is caused by Glaucoma, Diabetic Retinopathy and Age-Related Macular Degeneration? However, 75% of blindness is preventable with regular eye exams and early detection of these diseases. Because we care about the health of your eyes, we now offer you a retinal wellness examination with the leading edge OCT (Optical Coherence Tomography) diagnostic instrument. The OCT exam is quick, painless and non-invasive. The vibrant color report is printed immediately for easy and straightforward interpretation. Why not start now! For your peace of mind we strongly urge you and your family to start monitoring the health of your eyes. For more information about this exam or to arrange an appointment give us a call or download our leaflet.